Here are the 7 things that can ruin your experience at Vatican City. Time of the day. It takes time to see it all. The church and museum are huge, and ornately made. It takes time for your body to absorb all there is to see. It’s really hard to see it all a few hours – or half a day. Please don’t try. Most people think they can show up at 1:00 PM, take it all in, and leave satisfied. But, they’re often sorely disappointed. Don’t let this happen to you. Get there early. If you’re not there by 10:00 AM, don’t go at all. In my opinion, there’s just too much to see to make the trip worth it. Bags or backpacks. For those who carry a day bag (or backpack), it might not be the best idea for a quick in-and-out sight seeing strategy. All bags and back packs are thoroughly check by the Vatican police before being allowed into the church. You might waste a chunk of time waiting to have your back check. Don’t let this happen to you. Dress. The Vatican has a strict dress code policy. Although enforcement has been more relaxed in recent years but they still will turn people away. Knees and shoulders must be covered. Generally, this means no shorts or tank tops. But, there are ways around that. Without a doubt, as you’re standing in line, you will see one, or two, people turned away because of poor dress. Don’t let it happen to you. Lines. One thing people don’t expect are the long lines. Whether you see the church itself, or the museum, the Vatican pushes thousands of people through the city every day. In my opinion, if you don’t get there by 10:00 AM, it’s not worth going. You loose too much time standing in line. It will take well over a full day to see everything in the church and the museum. If you come late, you won’t be happy. Don’t let this happen to you. Show up early! Tours. There are many group tours that will offer you exclusive deals, and an intimate commentary of the church and its history. However, I find it’s often times easier to go by myself – or in a small group. Due to the fact that large tour groups get stuck in the bag screening line before they can all proceed. It can be a twenty to thirty minutes wasted. Don’t let this happen to you. I find it’s faster to go in groups of two or three. To make up for the intimate commentary, download a podcast from iTunes, and listen to it while inside the church. Tickets. 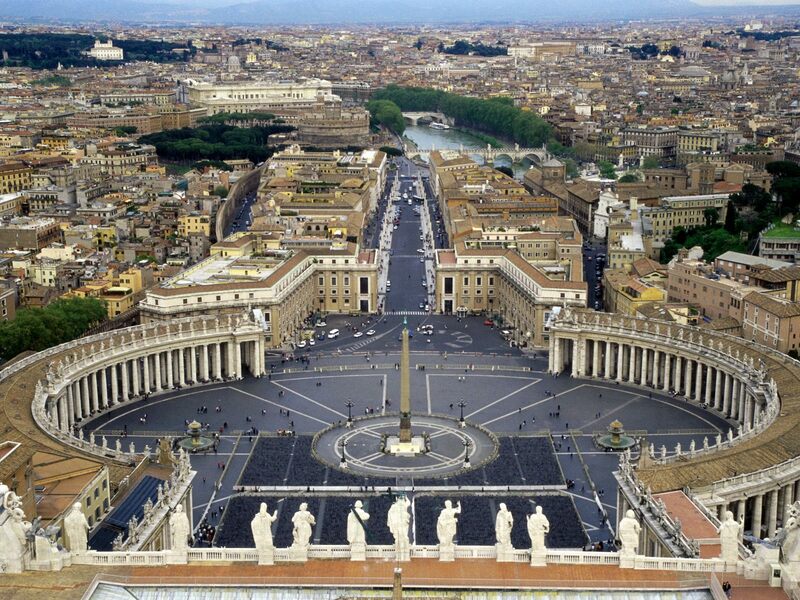 Saint Peter’s Basilica (the church) itself is free, but the Vatican museum (where the sistine chapel is located) in not. If you wait until the day of to buy tickets you will waste half of the day standing in line. Make sure you buy your ticket ahead of time online, or over the phone. Food. Most food near Vatican City is over priced and of poor quality. Not to say that there aren’t good places tucked away in some of the back neighborhoods. But, the majority of restaurants right in front of the church, are tourist traps. My favorite place to eat near the Saint Peter’s Basilica, is at the church itself. I suggest you bring a sack lunch to eat in the square after you walk the church. These are all things that have ruined one of my experiences at Vatican City. If you have any tips on how to efficiently create a great experience at Vatican city, please share your thoughts in the comment section below.